Will is the founder and CEO of Pantheon Energy, a thermal energy storage technology company offering the lowest-cost, longest-duration energy storage solution for commercial- and utility-scale applications. Over the last 12 years, Will has been active in the early-stage sustainability space. Since 2015, he founded C4-MCP to partner with the DOE and Pacific Northwest National Laboratory to commercialize clean, low-cost hydrogen production technology; advised Moleaer, the only commercial nanobubble technology company in the world; and sat on the board at WindESCo, a leading-edge wind energy-asset optimization platform. 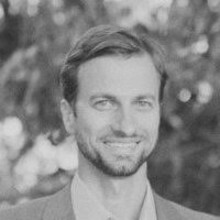 From 2009-2015, Will was VP of Corporate Development at NanoH2O, the top water desalination technology company. At NanoH2O, he opened the China market for the company's products and built a global manufacturing hub near Shanghai before selling the company to LG. Will is a graduate of the University of Virginia and lives in Los Angeles.